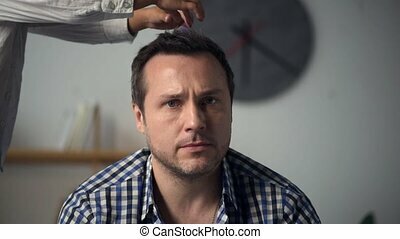 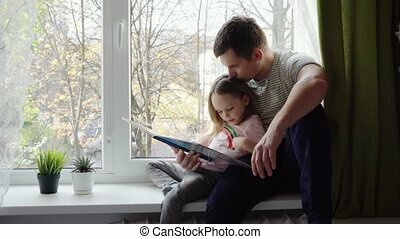 Adult caring man reading a book for his little daughter. 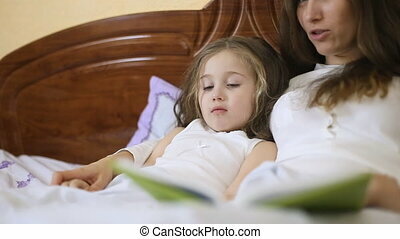 Before going to bed. 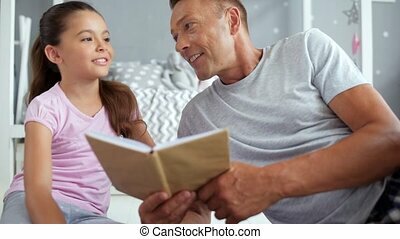 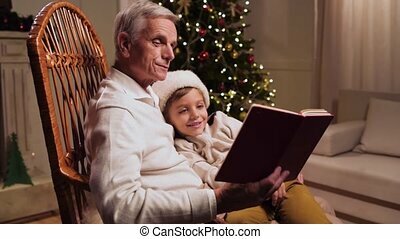 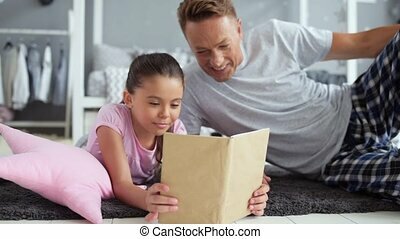 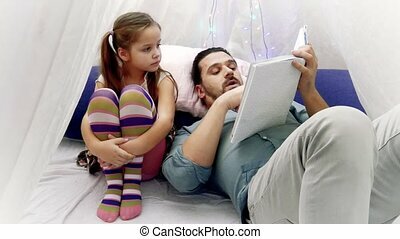 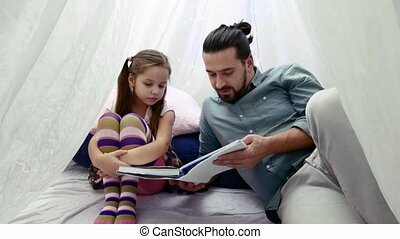 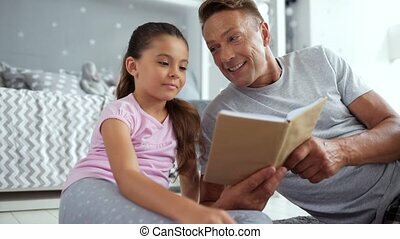 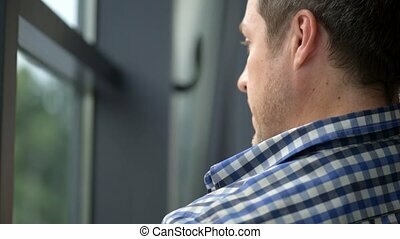 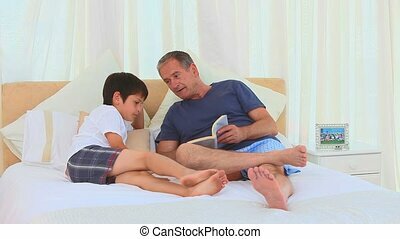 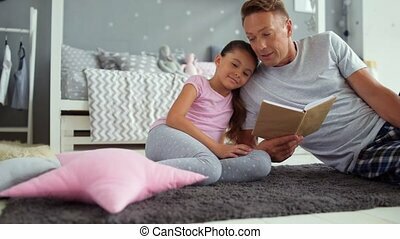 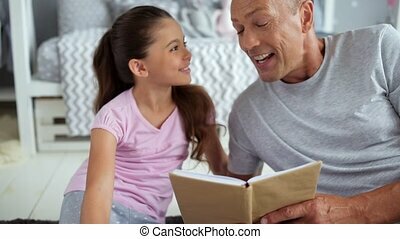 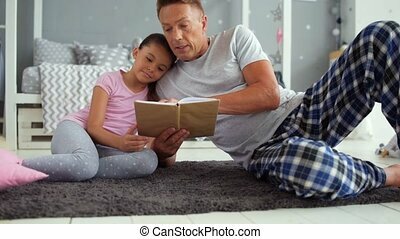 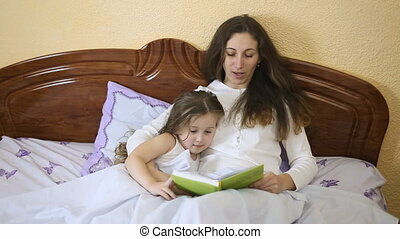 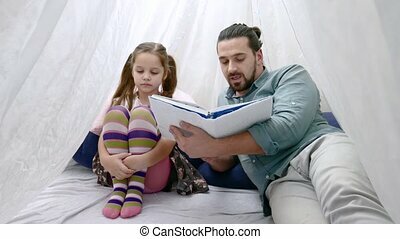 pleasant lovign father reading a book for his little daughter while sitting at home and resting in the bedroom. 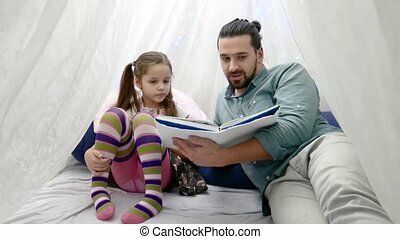 Smiling little boy is sitting in wicker chair and listening to the tale his father reading aloud.